Tibetan Agarwood Incense Sticks are traditionally hand-rolled from natural herbs, oils and other ingredients. 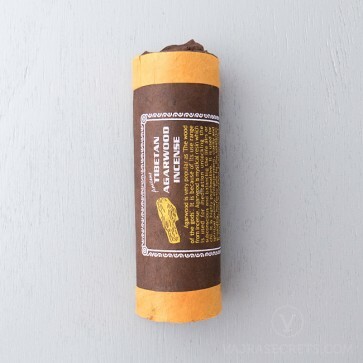 This woody and herbal incense has a warm aroma that restores balance, encourages mental focus, and is prized as a meditational aid. Tibetan Agarwood Incense Sticks are traditionally hand-rolled from natural herbs, oils and other ingredients. Known as the “Wood of the Gods”, this aromatic resin unlocks the subconscious mind and balances life winds or chi. 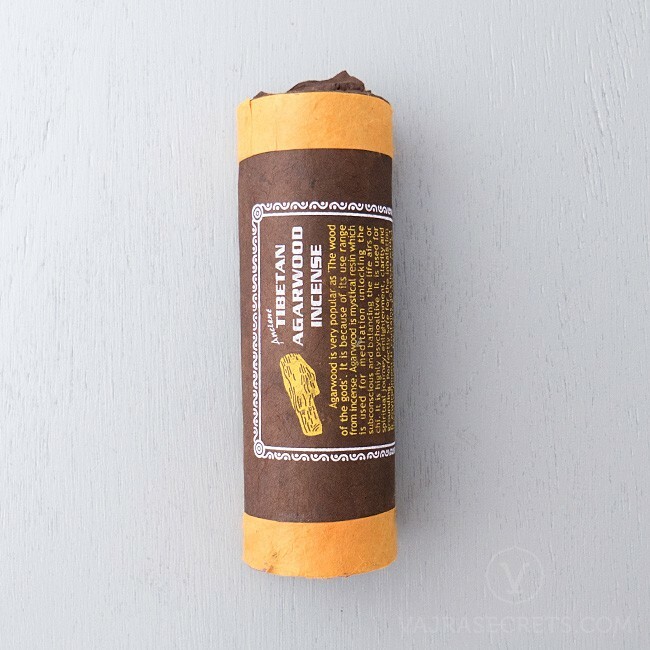 This woody and herbal incense has a warm aroma that restores balance, encourages mental focus, and is prized as a meditational aid. It is also highly regarded for its aromatic influence in steering individuals on their spiritual journey to Enlightenment. It is excellent for cleansing and purifying the environment of unwanted energies and to aid relaxation and stress-relief. It is also particularly used during spiritual ceremonies to create a peaceful and calm atmosphere.